Have you bought a diesel car yet? If not, it’s too late! Diesel cars are going to become more expensive next month as the government is considering levying extra excise duty on diesel cars. This would amount to at least Rs. 80,000 more to the ex-showroom price of diesel cars. Back in November 2011, Cartoq.com spoke to some industry analysts and predicted that the price of diesel cars would go up post the Union Budget 2012. Now a government committee, headed by planning commission member Kirit Parikh, has come up with this suggestion to the Union Government to levy additional excise duty on diesel cars. This is seen as a move to counter the rising demand for diesel cars and discourage the use of diesel – a fuel that is highly subsidized by the government as it is the main fuel for agriculture and transportation in the country. Any move to raise the price of diesel would lead to overall inflation in the country spiraling out of control and hence the move to raise the prices of diesel cars, so that the demand for diesel for private transport can be curbed. This will also likely bring about parity in demand between petrol and diesel cars, the government hopes. But this move is going to have a drastic effect on the automobile industry. A SIAM report sees the growth of the industry slowing to as low as 4 per cent in the first half of this year already, given the high interest rates and high cost of fuel prevalent in the country, as well as the fall in the value of the rupee leading to higher import costs for companies that use imported components in their cars. This has put pressure on car makers to raise prices of their cars, with Maruti announcing a hike last week and Mahindra also increasing prices at the beginning of the month. As it is, most popular diesel cars like the Swift, XUV500 or Hyundai Verna have waiting periods stretching into months. Therefore, even if you wanted to avoid a price hike and booked these cars right now, you still would end up paying a higher price for your diesel car, because of the long delivery periods. By the time you get your car, a price hike would have come into effect and you will end up paying significantly more – if not the Rs. 80,000 proposed more for your diesel car. So how does that alter you buying decision? 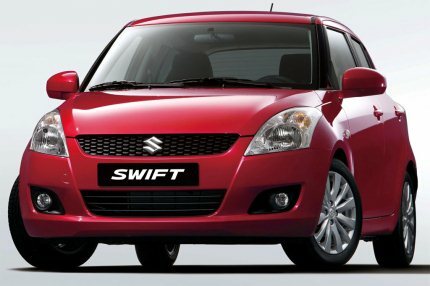 It still makes sense for you to buy a diesel car given that the price difference between a diesel variant and petrol variant of a car like the Swift would now be about Rs. 1.5 lakhs to Rs. 1.8 lakhs instead of the earlier Rs. 80,000 to Rs. 1 lakh price difference. But if your monthly driving is really low, diesel car may not make financial sense anymore. « Maruti rated top automotive brand in India!